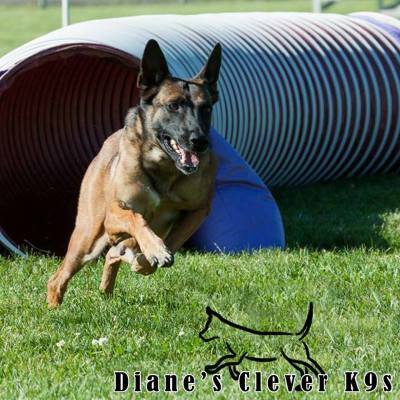 ​Diane’s Clever K9s offers a variety of dog training services providing puppy classes, basic obedience classes, just for fun agility, behavioral training, dog boarding and board and train programs. Private lessons are available to make dog training as convenient and successful for your particular situation and lifestyle. Our dog training method and communication system is clear, using a marker system that is fair and effective in communicating with your dog. We use dog training techniques that are based on developing a successful working relationship between you and your pet. Let our dog trainers show you how to build a better, stronger and happier relationship with your dog today!